History: The Hōzuki Clan have shown themselves to be loyalists onto the Otsutsuki Clan, and likewise have been shown the same respect by the Otsutsuki. They are considered to be close companions, an extended part of the family to the Otsutsuki. As such, while they remain a banner clan to the Otsutsuki, they not only fight along side the Otsutsuki, but they're also protected by them too. This understanding between the two clans have brought forth peace and prosperity for both clans. The Hōzuki Clan have supported the Otsutsuki from the beginning and have been taught numerous things by them. They were also given sacred knowledge by them, and were made to understand certain teachings more so than others. This gave birth to their secret techniques, whereby the used the sacred teachings and used it to forge a future for themselves. The Hōzuki Clan was founded by Kengetsu Hōzuki, father of the Hydrification technique which made him a most famous and potent Shinobi. Kengetsu was a supporter of the Otsutsuki Clan and their ways, even during a time when Avalon and Azulon of the Senju and Uchiha waged war against each other. Kengetsu like so few was shown the truth, and knew all too well that mankind had allowed their own greed to chase out the Otsutsuki a long time ago. These are also sacred teachings passed down and was treated as kindness. Kengetsu developed a great deal of respect for the teachings that the Otsutsuki brought to mankind. As a supporter of the Otsutsuki, Kengetsu and a few of his family members, were constantly living in fear for their own lives. Unless you were siding with the Uchiha and Senju, then at some point you would have been deemed an outcast and an enemy to the ruling clans at the time. With a desperate need to protect themselves, Kengetsu learned to master the Hydrification technique and its components. This of course ensured that they were able to fight on par with others and thereby protected themselves. Soon enough the name of the Hōzuki was renowned for their prowess and as a result commanded respect and care when being confronted with it. The return of the Otsutsuki also meant that the Hōzuki Clan had an ally they could trust. One that ensured that they could no longer be preyed upon. Of course, the Hōzuki Clan was allowed their own space to practice whatever customs they may have had. They may be the banner clan to the Otsutsuki, but they're not weak or helpless, but instead have good company should they require it. To the present day the descendants of Kengetsu still practices their secret techniques, growing stronger and in prominence. Requirements: Must show dedication to the clan and must seek to support it. This can be done via carrying out missions, developing as a character and maintaining activity. Also, must recognize that your part of an empire that also has other clans within its workings. Show loyalty to your clan and likewise the Otsutsuki. -All Hōzuki Clan members have a natural affinity for the Water Element, allowing them to pay one rank lower for water techniques they use. 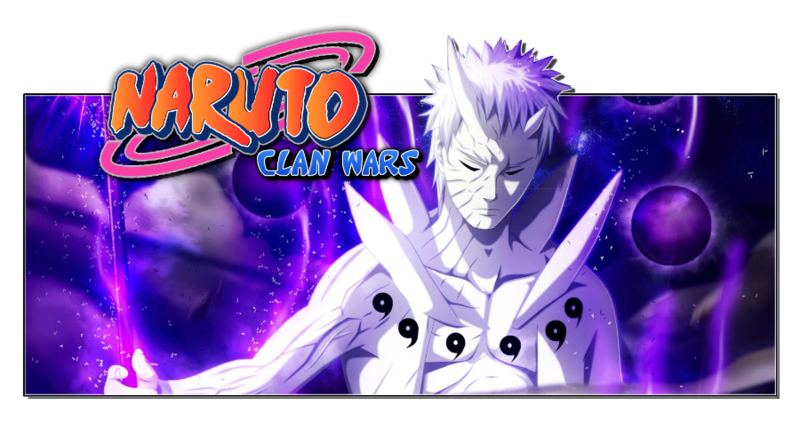 -All Hōzuki Clan members Start with the Water Element for Free. -All Hōzuki Clan members must hydrate themselves every 2nd topic, or after every 10 IC posts. Without hydrating oneself, the Hydrification technique in all its form can only be performed a maximum of 4 times. Clan Special Characteristics: A special characteristic of the Hōzuki Clan, is that their members usually have names relating to the moon. This means you can generally find a Hōzuki clan member with "Getsu-Moon" in their name. 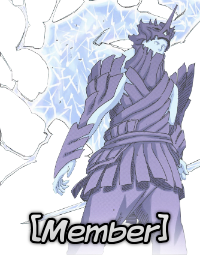 --The Hōzuki clan members are also at a disadvantage when struck by Raiton/Lightning Release techniques. Raiton/Lightning Release techniques gains a +1 rank advantage over Hōzuki clan members if they're struck. This means that if the opponent using a C-rank Jutsu, it would feel like a B-rank Technique. --The Hōzuki clan members will be incapacitated if struck with a Lightning Release Technique A-rank and above if they're in a liquefied state. This usually last for 1 post if A-rank or 2 posts if S-rank, 3 posts if struck by a limited Raiton release technique. Being incapacitated can last longer if the Jutsu is maintained by the opponent. The Hōzuki Clan members have the ability to turn their bodies into a liquefied state. The members of this clan possess the ability to turn their bodies into liquid state using the Hydrification Technique. This ability however seems to require that they stay hydrated at all times and as such members are known to carry water bottles around with them. The Hōzuki clan members are master of the water element due to their dependence on the element itself. The Hōzuki are capable of transforming their bodies into liquid state and back to a solid state at will, although through the use of special Ninjutsu techniques. There are certain members of the Hōzuki clan that are able to take their mastery of the Hydrification technique a little further. With mastery The Hōzuki clan members are able to change the composition of their body. Though the change in composition is minor, it gives to an even more potent use of secret Jutsus. This change sees their bodies become a mixture of oil and water, which then enables them to utilize certain Jutsus. Must Pay 1500 Ryo (Body Composition). Description: The Hydrification Technique is a protean, whole-body technique whereby the user can liquefy their body at will. It is the signature technique of the Hōzuki clan. This technique makes it impossible to receive damage from physical attacks. From a single hair, to the skin and muscles, everything can be liquefied and solidified at will. Be it to evade an enemy's attack during a short range battle, to infiltrate a structure, or to launch a surprise attack in a liquefied state, this technique boasts a high strategic value. Applying this technique, the user can also modify their body parts for suitable situations or even use the liquid as projectiles. Drawbacks: Boasting high strategic value, the only way to contain a user of this technique is to lock them up in an airtight container so they cannot move about. When the user passes out, they turn into a jelly-like state. Since this technique turns the body into water, the Hōzuki are extremely vulnerable to Lightning Release techniques. Combination: There are various Jutsus that derives from the Hydrification Technique. Description: After using the Hydrification Technique to form a pool of water at their feet, the user then produces bubbles which float upwards from the ground. These are then launched at targets with such speed and force that they can cause great blunt-force trauma. Can produce up to 25 bubbles at a time, each the size of football/soccer ball. Combination: Requires the Hydrification Technique. Description: After liquefying a portion of his/her body, the user manipulates the resulting water to surround their target's head, preventing them from breathing in order to either: render the victim unconscious or ultimately kill them if the suffocation is sustained. Must be maintained for 3 Posts minimum for death to occur. Description: The user mimics a fire gun with his hand and, through the Hydrification Technique, compresses a drop of water in their index finger, firing it with tremendous force and speed similar to a gunshot. The Jutsu will pierce through bodies and jutsu alike not equipped to properly deal with it. As such, if your defense or endurance level is not higher that the power of the Jutsu, then it has the potential to breach said defense. It may also cause death if it strikes the body in a fatal way. Description: A more lethal version of the Water Gun Technique, this technique is used by members of the Hōzuki clan. After liquefying their hands, the user mimics a gun with their hands and fires two powerful jets of water from their index fingers. This version of the Jutsu is much faster and more destructive compared to its previous version. Combination: Requires Hydrification Jutsu and Water Gun Technique. Description: By putting the Hydrification Technique into practical use, the muscles of the arm are temporarily enlarged and strengthened. Moisture is gathered from the whole body and compressed into the entire arm, like an instant pump-up. However, because it is essential to properly control the moisture balance inside the body, this technique's degree of difficulty is very high. The technique gives the user superhuman strength, capable of breaking through both rock walls and steel doors with ease. After using the Hydrification Technique to merge with a water source, the user can form a giant wave that looks like a demon-like fish. the user can use this form to battle larger opponents, or they can use it to shield allies from attack. Though it was strong enough to physically push back a Tailed Beast, it is not strong enough to withstand a point-blank range Tailed Beast Ball, which can render the unconscious, causing him to fall into a jelly-like state. That is of course if the user isn't actually dead. Being a water release Jutsu, it still suffers against other Lightning Release Jutsus. The Jutsu also requires an already established water source before the Jutsu can be used. Cost: 60 Chakra +5 Life Force per turn after first 2 Post. No Skill Point Chakra Discount. Firstly, the user creates a clone — which resembles a chibi version of themselves — made from the oil and water in their body. The water in the clone is surrounded by a thin layer of oil and due to this structure, the clone's temperature can easily be altered from cold to hot and vice-versa. When it exerts itself, the outer layer of oil heats up and evaporates the water inside. As the internal pressure builds, the clone expands until it violently explodes and the water vapor is released. This vapor then cools down as it rises and as a result, turns into hail that cools the clone, causing it to shrink to its original size and start the entire process again. Despite its constantly increasing size, the clone itself remains very fast throughout the technique, enough to elude even "Gaara's chakra-infused sand". This high-speed movement also allows it to heat up very quickly and to more easily inflict damage using an axe-like liquid blade that it is able to form on its arm. However, using this powerful technique leaves the user in a severely weakened and vulnerable state. The Jutsu takes 5 Life Force points after first two posts per turn whilst its in use. It also receives no Chakra discount, as such the amounts stated above for cost is what the user has to pay.